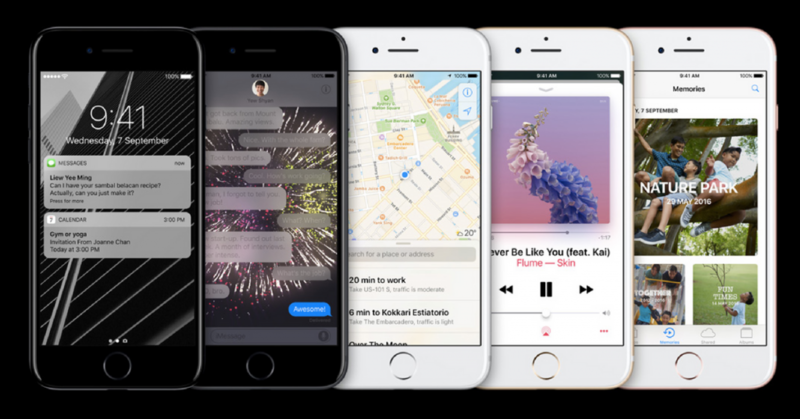 Unless you’ve been living under a rock for the past few months, you must have heard about the iPhone 7. Rumours of the newest Apple iPhone being headphone jack-less and a duel camera proved to be true when Tim Cook (Apple’s CEO) introduced our newest obsession (we want it, we need it, we gotta have it!) at Apple’s inaugural September Keynote. While you can get your pre-orders for Apple’s newest brainchild tomorrow (Sept 9) on the Apple website. If you would rather have the experience of seeing and touching the phone in person before dropping a mean thousand dollars, the phone is available in stores next Friday (Sept 16). While the new iPhone 7 is great news for any big tech fan out there for the rest of us it means seeing hordes of people queuing up at your local telcos. We gathered a list of places to AVOID if you’re not keen on a) getting your hands on the iPhone 7 b) struggling to make your way through a very excited and impatient crowd. If you’re looking for something that you can’t seem to find anywhere else, chances are you’re going to find it at Orchard Road. Orchard Road is home to 3 Epicenters (Wheelock, ION, 313) and 3 iStudios (Plaza Singapura, Paragon, Orchard Central). So if you’re looking for a quiet weekend away from the crowd and the buzz surrounding iPhone 7, I would definitely stay away from this busy shopping district. Vivo City may only be home to 1 iStudio but it also houses the 3 popular telcos…side by side. The great thing about Vivo City is that it’s pretty huge, the bad thing? Chances are you’re going to bump into a horde of people either queuing up for the new iPhone or bumping into people playing Pokemon GO. We all know that Jurong has 5 shopping malls. Yes 5. 2 of Jurong’s malls have Apple resellers (Westgate, JEM). So while you can go on over to IMM, Jurong Point and JCUBE it’s likely it’s going to be filled with Jurong residents fleeing from the crowd is pretty high. We recommend staying away from Jurong in general so as to avoid the crowd! Causeway Point like most malls houses the 3 popular telcos. But unlike most heartland malls, the telcos here are huge and are pretty close to each other. And they have an Epicenter! That’s great news for iPhone fans wanting to try out the iPhone 7 and compare prices between the telcos. But if you’re not a fan of this new gadget, stay away from Causeway Point until the hype dies down. Suntec city has one of the larger Epicenters in Singapores, so where else would Apple fanatics start queuing at but at this part shopping mall part convention center? The queues at this specific Epicenter starts early, so don’t be surprised to see fans young and old setting up camp here days before the iPhone is available for sale. What better place to splurge on a pricey gadget than in the shopping mall where all pricey accessories, gadgets and apparel live? Singtel has often held its iPhone launches, a 3 day event, in Marina Bay Sands. While the launch is held at the Exhibition hall, do not be surprised when impatient friends and partners end up spilling over into the main shopping area of Marina Bay Sands. While Apple resellers and the 3 main telcos have yet to announce about the launch of the iPhone 7. We can expect snaking queues and hordes of Apple fanatics waiting in line for this new gadget once they do! Also Read: Here’s A Look At Funan’s New Revamped Look – And It Is Cool AF!